Efficient, excellent communcation and brilliant results! Highly recommended! Have continued to use this service for over 10 years, and will continue to do so. Rob did a fantastic job on our website. He is very passionate about SEO. I would highly recommend him. I have been using the services of Rob at JustSEO for years now and have recommend many of my friends to use JustSEO as well. Rob looks after 3 of our business websites and they are all outperforming on google. Rob is very honest and get results that people actually search for. 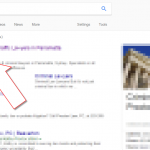 I would recommend Rob at JustSEO looking to get real results. Incredible SEO person, we have used a lot in the past that say they no what they’re talking about but fail to deliver on results, then you go off to the next one. Rob actually knows what he is talking about but more importantly he shows you what he is doing and delivers on results. I can not recommend Rob and Just SEO highly enough. If your looking for an honest, trustworthy and educated business to help you with your SEO campaigns than this is the business for you. Not only does Rob know his stuff but he will go that extra mile and educate you on what SEO is all about. You can tell that this is his passion and the results show. There is no one else i would trust to take control of this element of our business. It has certainly made a difference in our online presence. Rob and I have worked together to deliver SEO and website architecture plans to several clients. He continually delivers outstanding results and has been a pleasure to work with. We have worked with Rob now for almost three years and he continues to deliver results consistently. Fantastic to work with someone who knows his craft as well as he does. I've worked with Rob at JustSEO on more than 20 client websites over the last few years. He's incredibly professional and gets great results for his clients. He tells it like it is, and doesn't try to upsell clients on things they don't need. I wouldn't hesitate to recommend Rob to anyone who is looking for some help with their SEO – especially those wanting to target local Australian customers. We have been with Rob for about 8 years now. He built our very first website & has continued to do his 'magic' for us in regards to SEO. He has helped us to achieve & maintain first page organic search results for many of our keywords, saving us thousands of dollars in google adwords, & continually offers professional input to keep us up there. He works with web designers to make sure any updates to our websites are not going to impact negatively on our SEO. We have every confidence in his work & methods & would recommend Just SEO in a heartbeat.